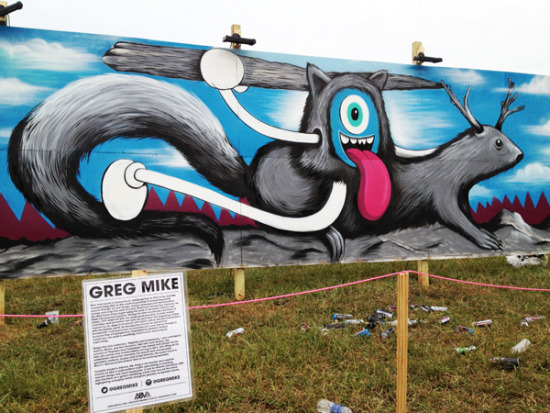 Had a killer time this past week/end painting live and art directing Counterpoint. 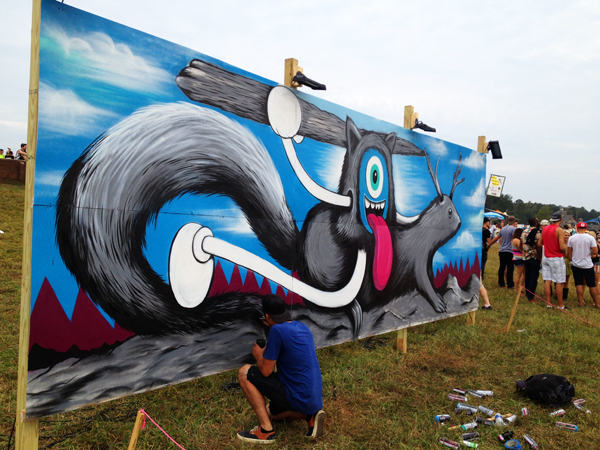 Always a blast catching up with some great artists + friends while painting over 1600 sq ft. of walls in the middle of the woods. Nothing better then bringing the city to the sticks. 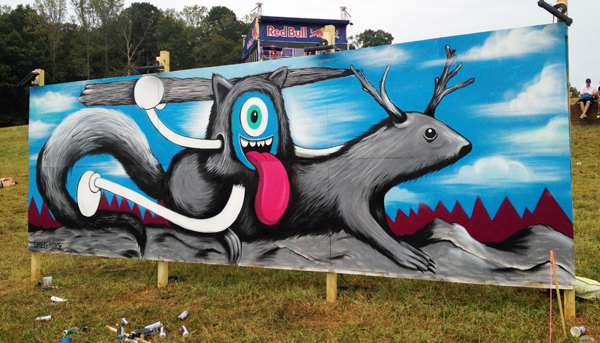 Here is a few ipone progress shot from the MR. LOUDMOUF's wild adventure in the deer and squirrel country. COUNTERPOINT 2012 from ABV TV on Vimeo.